• Mohamed, Abdallah S. R.; Ruangskul, Manee-Naad; Awan, Musaddiq J.; Baron, Charles A.; Kalpathy-Cramer, Jayashree; Castillo, Richard; Castillo, Edward; Guerrero, Thomas M.; Kocak-Uzel, Esengul; Yang, Jinzhong; Court, Laurence E.; Kantor, Michael E.; Gunn, G.
Brandon; Colen, Rivka R.; Frank, Steven J.; Garden, Adam S.; Rosenthal, David I. 2015-01-01 Purpose To develop a quality assurance (QA) workflow by using a robust, curated, manually segmented anatomic region-of-interest (ROI) library as a benchmark for quantitative assessment of different image registration techniques used for head and neck radiation therapy–simulation computed tomography ( CT) with diagnostic CT coregistration. Materials and Methods Radiation therapy–simulation CT images and diagnostic CT images in 20 patients with head and neck squamous cell carcinoma treated with curative-intent intensity-modulated radiation therapy between August 2011 and May 2012 were retrospectively retrieved with institutional review board approval. Sixty-eight reference anatomic ROIs with gross tumor and nodal targets were then manually contoured on images from each examination. Diagnostic CT images were registered with simulation CT images rigidly and by using four deformable image registration (DIR) algorithms: atlas based, B-spline, demons, and optical flow. The resultant deformed ROIs were compared with manually contoured reference ROIs by using similarity coefficient metrics (ie, Dice similarity coefficient) and surface distance metrics (ie, 95% maximum Hausdorff distance). The nonparametric Steel test with control was used to compare different DIR algorithms with rigid image registration (RIR) by using the post hoc Wilcoxon signed-rank test for stratified metric comparison. Results A total of 2720 anatomic and 50 tumor and nodal ROIs were delineated. All DIR algorithms showed improved performance over RIR for anatomic and target ROI conformance, as shown for most comparison metrics (Steel test, P 1.14×10−3 mm2/s (P = 0.003) as independent prognostic factors for 3-year neck control. A prognostic scoring system was formulated by summing up the three significant predictors of neck control. Patients with scores of 2–3 had significantly poorer neck control and overall survival rates than patients with scores of 0–1. We conclude that hemoglobin levels, Ve, and ADC are independent pretreatment prognostic factors for neck control in OHSCC treated with chemoradiation. Their combination may identify a subgroup of patients at high risk of developing neck failure. PMID:25531391 • Alberico, Ronald A; Husain, Syed Hamed S; Sirotkin, Igor 2004-01-01 Evaluation of head and neck cancer with imaging is a topic that is far more extensive than can be covered in this article. Feb 13, 2011 - 10 min - Uploaded by Karyn ChabotThis therapy exfoliates the skin using friction with silk gloves to increase static electricity to heal. View and Download QDI KinetiZ 7T user manual online. 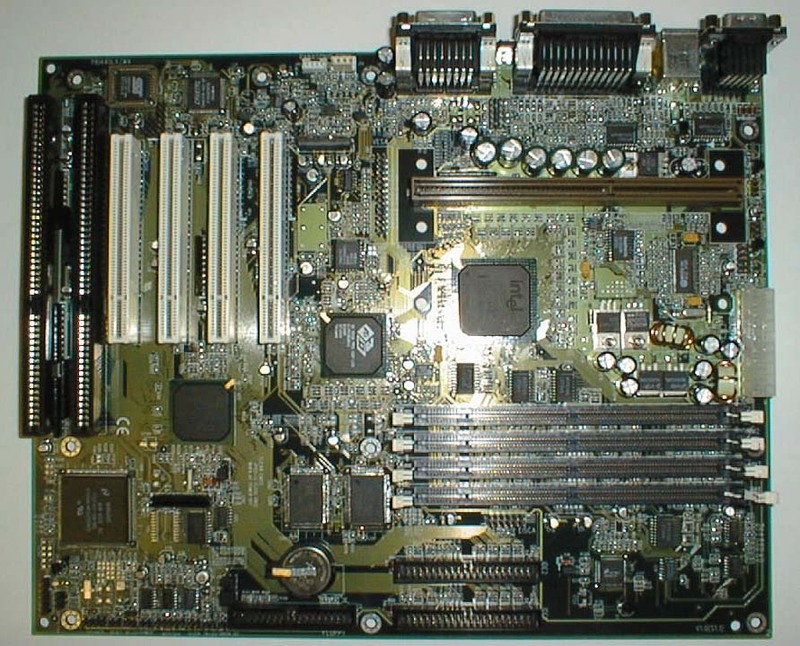 Computer mainboard. KinetiZ 7T Motherboard pdf manual download. The main reason for head and neck imaging is to evaluate the true extent of disease to best determine surgical and therapeutic options. This process includes evaluation of the size, location, and extent of tumor infiltration into surrounding vascular and visceral structures. Important anatomic variants must be pointed out so the surgeon can avoid potential intraoperative complications. These variant scan be evaluated with the appropriate multiplanar and three-dimensional images to provide as much information as possible to the surgeon preoperatively. Second, nodal staging should be assessed in an effort to increase the number of abnormal nodes detected by physical examination and, more important, to precisely define their location by a standard classification system that can be understood and consistently applied by the radiologist, surgeon, radiation oncologist, and pathologist. Although secondary to the previously described tasks, imaging frequently enables a limitation of the diagnostic and histologic possibilities based on lesion location and signal-attenuation characteristics, which may lead the clinical investigation along a different path. Saving the patient unnecessary risk and shortening the time to diagnosis and ultimate treatment. This article has attempted to detail the current state of the controversy between CT, MRI, and other modalities, and has emphasized the constant evolution of this controversy because of the evolving imaging technology. Although CT and MRI are both well suited to evaluation of the deep spaces and submucosal spaces of the head and neck, each has some limitations.MRI has the advantages of higher soft tissue contrast resolution, the lack of iodine-based contrast agents, and high sensitivity for perineural and intracranial disease. The disadvantages of MRI include lower patient tolerance, contraindications in • Friedman, Elliott R; John, Susan D 2011-07-01 Palpable neck masses are a common indication for pediatric imaging. Such lesions may be caused by infectious, inflammatory, tumoral, traumatic, lymphovascular, immunologic, or congenital etiologies. Radiological assessment of neck masses in young children should be tailored based on patient presentation and physical examination, as well as clinical suspicion. The goal of imaging should be to help arrive at a diagnosis or limited differential in an efficient manner while minimizing radiation exposure. • Liu, C; Kumarasiri, A; Chetvertkov, M; Gordon, J; Chetty, I; Siddiqui, F; Kim, J 2015-06-15 Purpose: Accurate deformable image registration (DIR) between CT and CBCT in H&N is challenging. In this study, we propose a practical hybrid method that uses not only the pixel intensities but also organ physical properties, structure volume of interest (VOI), and interactive local registrations. Methods: Five oropharyngeal cancer patients were selected retrospectively. For each patient, the planning CT was registered to the last fraction CBCT, where the anatomy difference was largest. A three step registration strategy was tested; Step1) DIR using pixel intensity only, Step2) DIR with additional use of structure VOI and rigidity penalty, and Step3) interactive local correction. For Step1, a public-domain open-source DIR algorithm was used (cubic B-spline, mutual information, steepest gradient optimization, and 4-level multi-resolution). For Step2, rigidity penalty was applied on bony anatomies and brain, and a structure VOI was used to handle the body truncation such as the shoulder cut-off on CBCT. Finally, in Step3, the registrations were reviewed on our in-house developed software and the erroneous areas were corrected via a local registration using level-set motion algorithm. Air Waybill Software Free. Results: After Step1, there were considerable amount of registration errors in soft tissues and unrealistic stretching in the posterior to the neck and near the shoulder due to body truncation. The brain was also found deformed to a measurable extent near the superior border of CBCT. Such errors could be effectively removed by using a structure VOI and rigidity penalty. The rest of the local soft tissue error could be corrected using the interactive software tool. The estimated interactive correction time was approximately 5 minutes. Conclusion: The DIR using only the image pixel intensity was vulnerable to noise and body truncation. A corrective action was inevitable to achieve good quality of registrations. We found the proposed three-step hybrid method efficient and practical for CT • Torticollis is a form of dystonia (prolonged muscle contractions) in which the neck muscles, particularly the sternocleidomastoid muscle, contract involuntarily causing the head to turn. Torticollis may occur without known cause (idiopathic). • This melanoma on the neck is variously colored with a very darkly pigmented area found centrally. It has irregular. Be larger than 0.5 cm. Prognosis in melanoma is best defined by its depth on resection. • Chen, A; Niermann, K J; Deeley, M A; Dawant, B M 2012-01-01 Segmenting the thyroid gland in head and neck CT images is of vital clinical significance in designing intensity-modulated radiation therapy (IMRT) treatment plans. In this work, we evaluate and compare several multiple-atlas-based methods to segment this structure. Using the most robust method, we generate automatic segmentations for the thyroid gland and study their clinical applicability. The various methods we evaluate range from selecting one single atlas based on one of three similarity measures, to combining the segmentation results obtained with several atlases and weighting their contribution using techniques including a simple majority vote rule, a technique called STAPLE that is widely used in the medical imaging literature, and the similarity between the atlas and the volume to be segmented. We show that the best results are obtained when several atlases are combined and their contributions are weighted with a measure of similarity between each atlas and the volume to be segmented. We also show that with our data set, STAPLE does not always lead to the best results. Automatic segmentations generated by the combination method using the correlation coefficient (CC) between the deformed atlas and the patient volume, which is the most accurate and robust method we evaluated, are presented to a physician as 2D contours and modified to meet clinical requirements. It is shown that about 40% of the contours of the left thyroid and about 42% of the right thyroid can be used directly. An additional 21% on the left and 24% on the right require only minimal modification. The amount and the location of the modifications are qualitatively and quantitatively assessed. We demonstrate that, although challenged by large inter-subject anatomical discrepancy, atlas-based segmentation of the thyroid gland in IMRT CT images is feasible by involving multiple atlases. The results show that a weighted combination of segmentations by atlases using the CC as the similarity. • Peroni, Marta; Ciardo, Delia; Spadea, Maria Francesca; Riboldi, Marco; Comi, Stefania; Alterio, Daniela; Baroni, Guido; Orecchia, Roberto 2012-11-01 Purpose: The purpose of this work was to develop and validate an efficient and automatic strategy to generate online virtual computed tomography ( CT) scans for adaptive radiation therapy (ART) in head-and- neck (HN) cancer treatment. Method: We retrospectively analyzed 20 patients, treated with intensity modulated radiation therapy (IMRT), for an HN malignancy. Different anatomical structures were considered: mandible, parotid glands, and nodal gross tumor volume (nGTV). We generated 28 virtual CT scans by means of nonrigid registration of simulation computed tomography (CTsim) and cone beam CT images (CBCTs), acquired for patient setup. We validated our approach by considering the real replanning CT (CTrepl) as ground truth. We computed the Dice coefficient (DSC), center of mass (COM) distance, and root mean square error (RMSE) between correspondent points located on the automatically segmented structures on CBCT and virtual CT. Results: Residual deformation between CTrepl and CBCT was below one voxel. Median DSC was around 0. Download Tibco Gems Download. 8 for mandible and parotid glands, but only 0.55 for nGTV, because of the fairly homogeneous surrounding soft tissues and of its small volume. Median COM distance and RMSE were comparable with image resolution. No significant correlation between RMSE and initial or final deformation was found. Conclusion: The analysis provides evidence that deformable image registration may contribute significantly in reducing the need of full CT-based replanning in HN radiation therapy by supporting swift and objective decision-making in clinical practice. Further work is needed to strengthen algorithm potential in nGTV localization. • Leswick, David A; Hunt, Megan M; Webster, Steven T; Fladeland, Derek A 2008-11-01 To assess the effectiveness of in-plane bismuth thyroid shields and a z-axis automatic tube current modulation (ATCM) technique with respect to dose reduction and image noise in the thyroid and other regional tissues during neck computed tomography ( CT). Because this was a p.